How to create checkbox in Crystal Report? 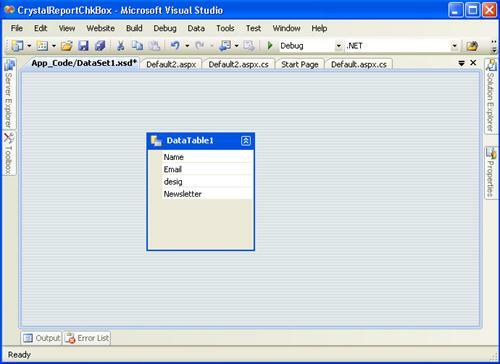 In this article I am going to explained about how to place checkbox control in crystal report. 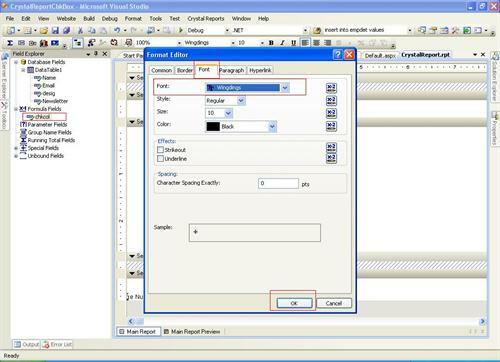 Normally there is no direct option provide check box control in crystal report, using this concept you can create checkbox checked/unchecked image easily. 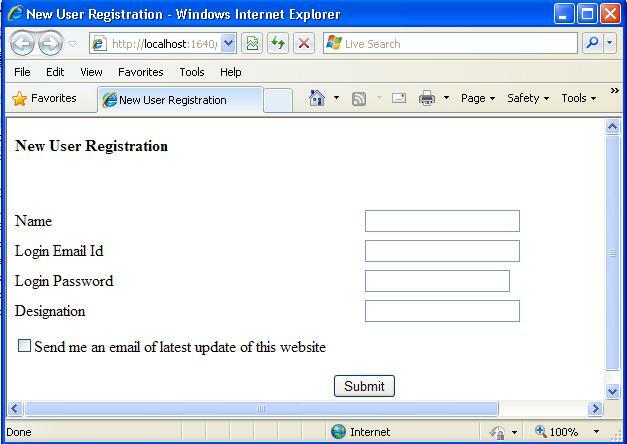 For an example we are collecting user information in the registration page during that time we also collecting user want news letter or not using check box control. 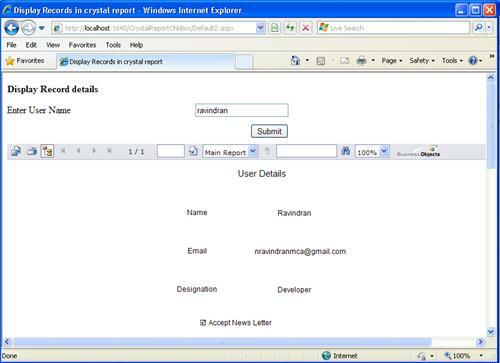 In that time of view user details in crystal report we can show checkbox image checked / un checked based on the user table. Then create one formula field to show check box for example I create one formula field as chkcol , using editor I set Checkbox true or not. If checkbox is true I set Chr(254) else show unchecked checkbox using Chr(168). Chr(254): This is decimal value for Wingdings character 254 its shows like checked check box image. Chr(168): This is decimal value for Wingdings character 168 its shows like rectangle box like unchecked check box image. 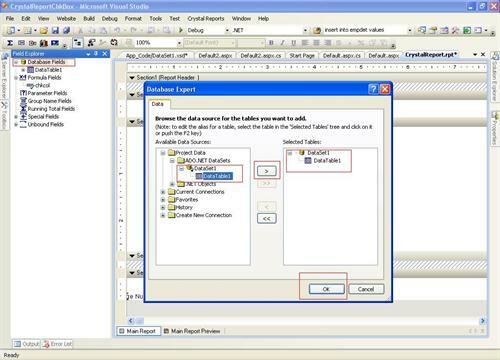 The output is shows the check box image based on the database value checked / unchecked. 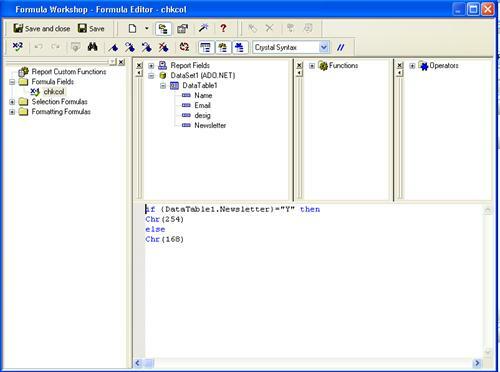 I have attached source code of this article download it and try to register and get back details in crystal report. 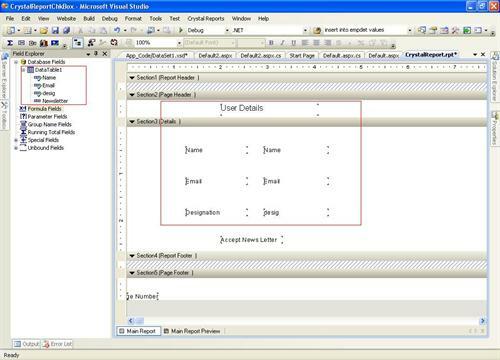 I hope this article help to know checkbox control in crystal report.